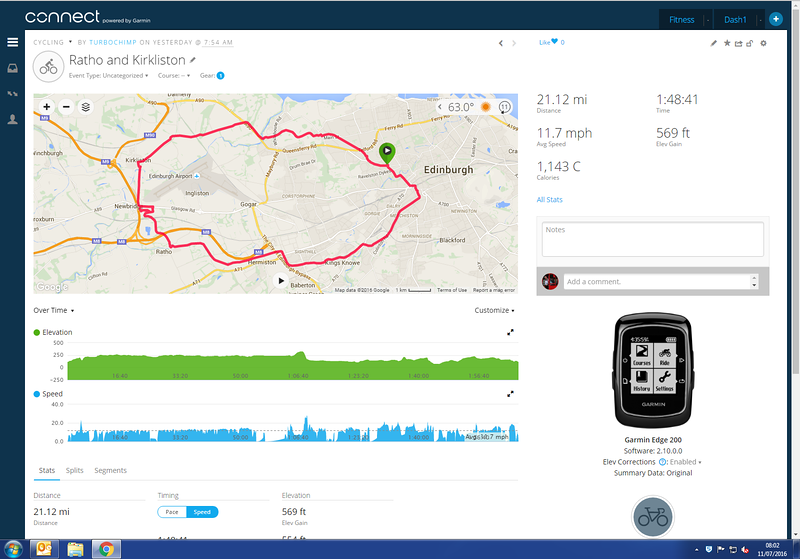 Tipped over the 21 miles on a single recording, so happy with that. All a bit uppy downy between the Bridge Inn and home via Ratho Station and Kirkliston so a good calorie count. Ruined it later with beers though.